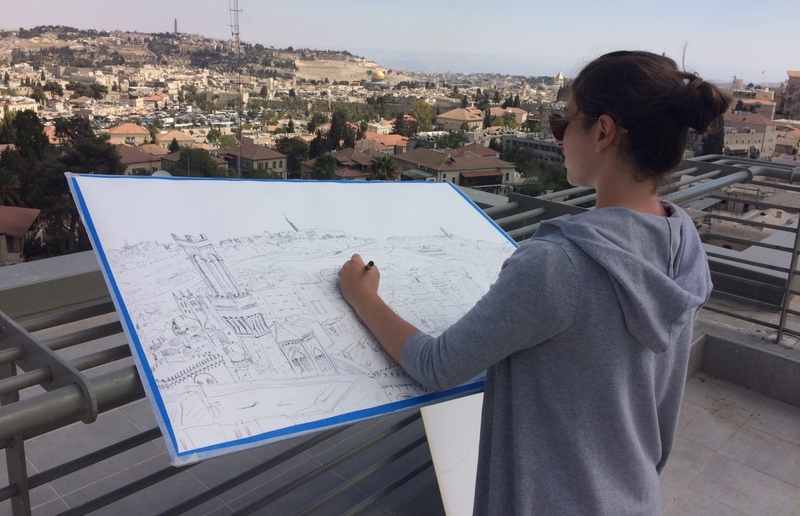 ISRAEL21c visits the kickoff of the Jerusalem Biennale, set for a year away, on October 1 to November 16, 2017. 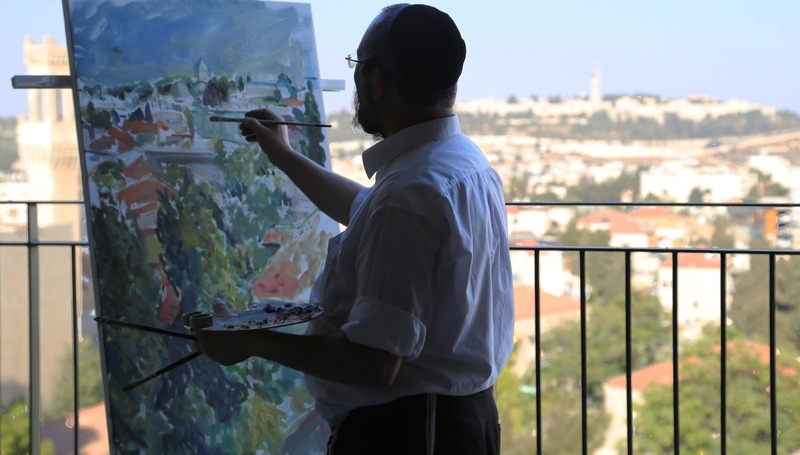 Put 15 painters in an apartment with a breathtaking vista of the Old City of Jerusalem and you get the promise of an extraordinary third annual Jerusalem Biennale, set to take place October 1 through November 16th next year, 2017. 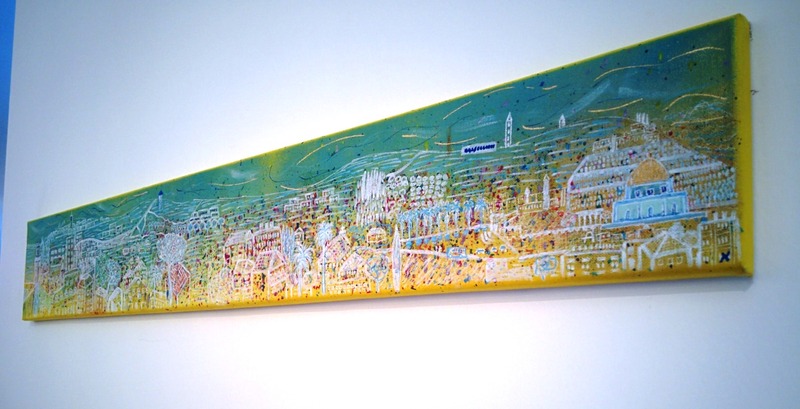 This was one of several events planned to create a buzz for the biennale. “I invited 15 artists to see the view and create something related to this experience,” explained Jerusalem Biennale Founder Rami Ozeri, speaking at an invitation-only kickoff party on October 13 in the penthouse of a new luxury building, Boutique HaNevi’im, which offered the artists a seventh-floor panoramic perspective for inspiration. 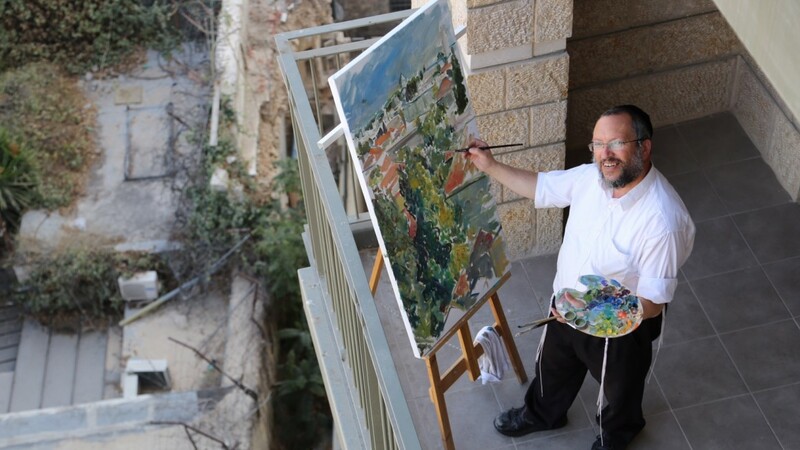 Debbie Kampel set up her easel on one of the porches and focused on the Damascus Gate. 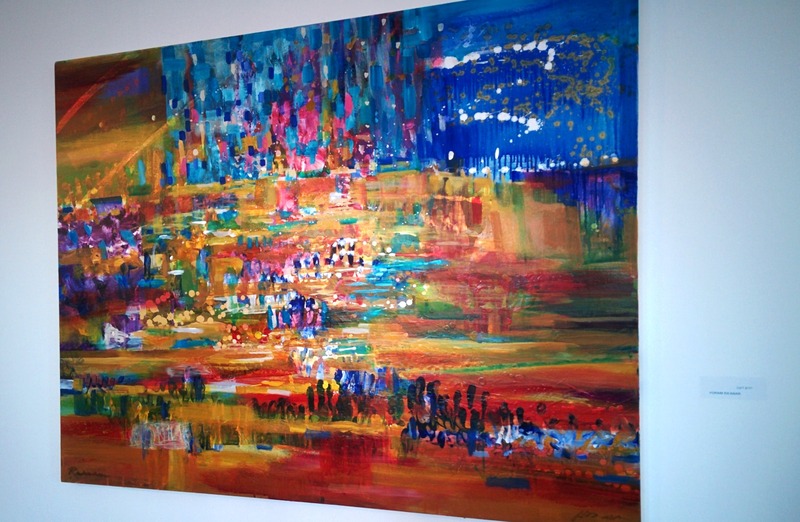 Sam Griffin chose to draw an Arab construction worker inside the penthouse. Leah Silver and Hovav Landoy used colorful straws and connectors to build an abstract structure evoking the multicultural capital city. 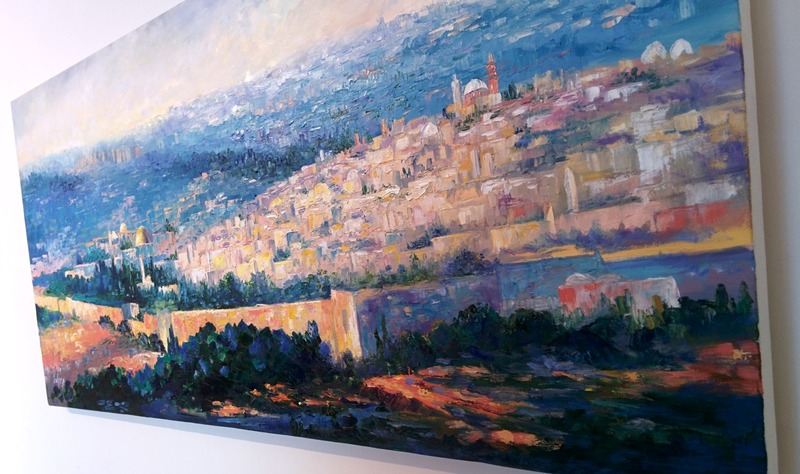 With wine and hors d’oeuvres in hand, we circulated among the artworks mounted around the apartment and stepped onto the balconies for a taste of the magnificent view that inspired them – sweeping from the Dome of the Rock on the Temple Mount to the steeple of Augusta Victoria church-hospital on the Mount of Olives to the towers of Hebrew University on Mount Scopus. 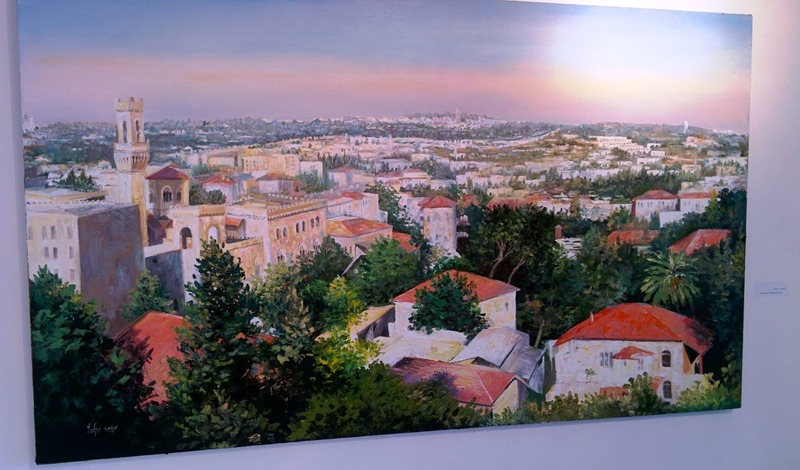 Azorim, the real-estate company marketing Boutique HaNevi’im, and Marrache Fine Arts Gallery of Jerusalem cosponsored the event. 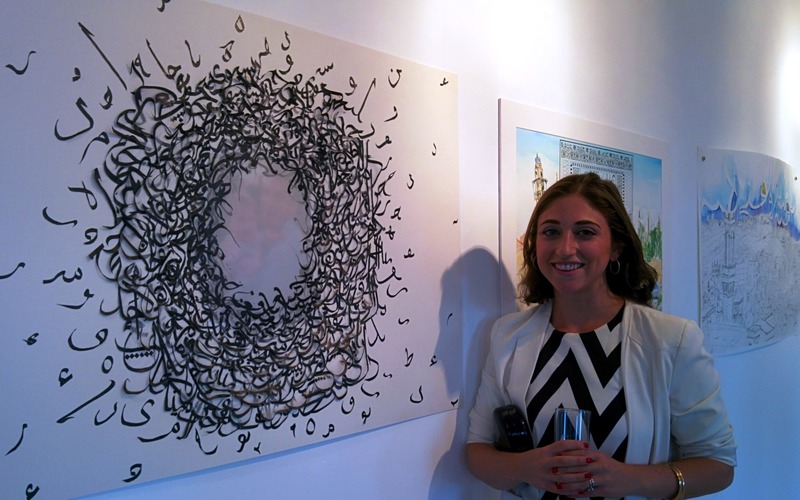 Lenore Cohen, a Brooklyn resident with roots in Aleppo, Syria, showed ISRAEL21c her works incorporating Arabic-style calligraphy. 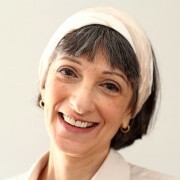 “I’m here on an artist residency with the Jerusalem Bienniale, developing a series wherein I take traditional Judeo-Arabic phrases from my community and translate them into visuals, usually in a way that adds new meaning and context,” she said. Institutions, artists’ groups and independent curators worldwide have until November 10 to submit proposals in keeping with the theme “watershed,” using media including photography, video art, installation and performance. 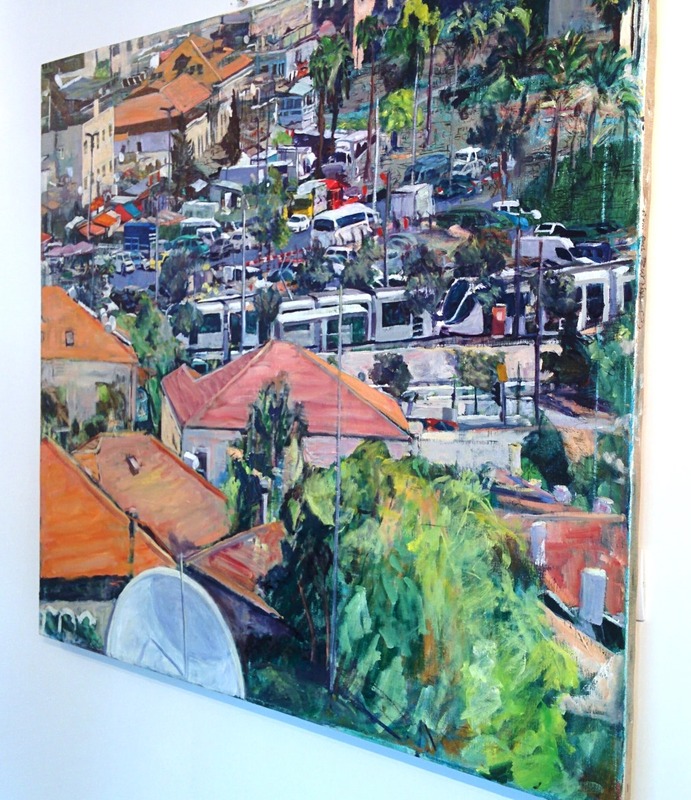 The 2015 biennale featured 10 exhibitions of nearly 200 Israeli and international professional artists at seven venues in the city center. Highlights are on view through November 21 at the Laurie M. Tisch Gallery in the JCC of Manhattan and then at Art Basel Miami, December 1-4.